The University is part of a collaborative partnership that has been awarded nearly £1.5 million from the Medical Research Council (MRC) for the pre-clinical development of a candidate drug to treat onchocerciasis and lymphatic filariasis, by targeting the bacterial symbiont Wolbachia. The 18-month project will perform a full pre-clinical programme for the drug candidate, AWZ1066S, up to the first in man transition phase. Professor Paul O’Neill, from the University’s Department of Chemistry, said: “There is an urgent need for the development of new treatments for these two neglected tropical diseases. Both diseases are caused by filarial parasites which affect over 157 million people globally. The novel strategy of targeting the bacterial symbiont Wolbachia within the parasites can deliver the desired clinical outcomes safely. “Current treatment strategies involving doxycycline safely kills the adult worms, but the length of treatment and contraindications in young children and pregnant women mean that it is not suitable for widespread distribution. The project is led by Professor Steve Ward, Deputy Director at the LSTM. The MRC award is a culmination of previous work undertaken over the past decade which has sought to target the bacterial symbiont that is essential in order for the parasites to live, rather than traditional treatments targeting the parasites directly. 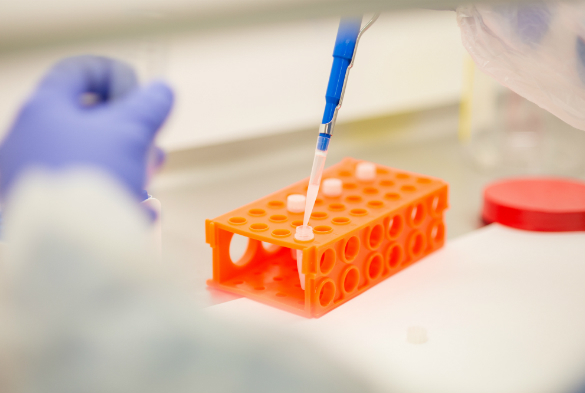 Funding from the MRC will support the critical formal pre-clinical chemistry, analytical, toxicology and safety pharmacology development programme in order to progress AWZ1066S to the first into human transition over the next 18 months or so.